22 August 2018: The new University of Canberra Hospital (UCH) has welcomed its first students undertaking placements through the dedicated Clinical Education and Research Centre (CERC). 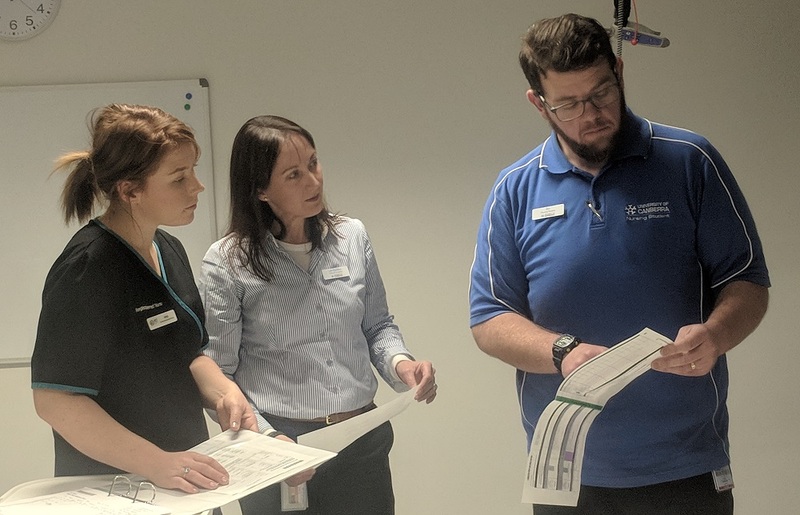 Students studying a variety of health-related degrees at the University of Canberra began classes and placements at the new hospital earlier this month. Minister for Health and Wellbeing and Higher Education, Training and Research Meegan Fitzharris said students will be able to pursue opportunities for clinical education, research and placements through the CERC. “The University of Canberra Hospital is a wonderful subacute hospital with a focus on rehabilitation and recovery, but it is also a training and research hospital,” Minister Fitzharris said. “Clinical placements at UCH provide students with direct exposure to real-world clinical practices aiming to deliver more skilled, and more knowledgeable health professionals of the future. The CERC comprises 1,600 square metres of shared clinical training, research and education spaces for staff and students. “These education spaces within the CERC replicate clinical areas within the hospital, allowing for student and staff education and training in a real-world environment,” Minister Fitzharris said. “The CERC includes purpose-built rooms and equipment for education and assessment that are optimised for a range of nursing and allied health disciplines. The training and research area also includes a sophisticated audio-visual network, which is designed to satisfy current and emerging clinical objectives and lay the foundation for enhanced training opportunities in the future. Staff from the Faculty of Health relocated to University’s dedicated office space at the hospital last month.